July 1, 2014 marks the effective date and deadline date for several Centers for Medicare & Medicaid Services (CMS) polices and initiatives for both home health and hospice providers. Following is a list of those requirements along with a brief description of each. 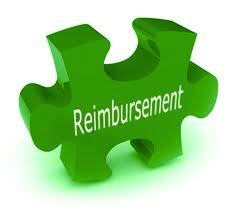 CMS released a change request (CR) related to hospice, CR 8569 Enforcement of the 5 Day Payment Limit for Respite Care, which, effective July 1, 2014, adds language to Section 30.3 of Chapter 9 of the Medicare Benefit Manual about the use of occurrence code M2 on claims when there is more than one respite period in a billing period and instructs MACs to return to providers any claims submitted with more than 5 consecutive days billed for respite care. CR8569 does not represent a policy change but does make clear that CMS will be enforcing the 5-day limit on respite billing. Beginning July 1, 2014, Medicare-certified hospices must directly submit a Hospice Item Set (HIS)-Admission and HIS-Discharge record for each patient admission that occurs on or after July 1. Records must be submitted electronically. In recent weeks, the Centers for Medicare & Medicaid Services (CMS) has released numerous materials to assist hospices in their preparations for the coming requirement. Failure to collect and report HIS records for July 1 through Dec. 31, 2014, will result in a 2 percent reduction in hospice payments for fiscal year (FY) FY2016. For recent NAHC Report coverage, please click here. Requests for comment on other policy changes that CMS could consider as part of future rulemaking. CMS will accept comments until COB on July 1. Previous NAHC Report coverage of the proposed rule is available: here, hereand here. CMS is requiring MA plans to submit a HIPPS code for all home health claims beginning July 1. The requirement for MA plans to include a HIPPS code on home health claims had been delayed twice to allow for agencies and plans to make the necessary systems and operational adjustments. The MA plans are responsible for communicating this directive to their contracted providers. Agencies should be contacting the MA plans for further details and guidance. Effective July 1, 2014, HHAs are required to report the name and NPI of the physician who certifies/re-certifies the patient's eligibility (Certifying Physician). This is in addition to reporting the NPI and name of the physician who signs the patient's plan of care (Attending Physicians) when the attending physician is not the same physician who certified/re-certified the patient’s eligibility to receive services under the Medicare home health benefit. Therefore, effective July 1, 2014, for episodes that begin on or after July 1, 2014, the certifying physician and the attending physician must be enrolled in the Provider Enrollment, Chain and Ownership System (PECOS) or have validly opted out as of the “from” date reported on the claim. For the related transmittal and Medlearn Matters article go hereand here. Effective July 1, 2014 CMS has the authority to impose additional alternate sanctions for home health agencies not in substantial compliance with the home health conditions of participation. Civil money penalties and suspension of payment for new admissions may be imposed, while an informal dispute resolution process will become available to agencies that wish to refute cited condition level deficiencies. Agencies have been subject to alternate sanctions that include temporary management of the HHA, directed plan of correction, and directed in-service training since July 1, 2013. To view CMS’ guidance on the alternate sanctions, please click here.